Today's post will be short as I have a ton to get done before we leave for an overnight stay at a nearby lodge with the family. 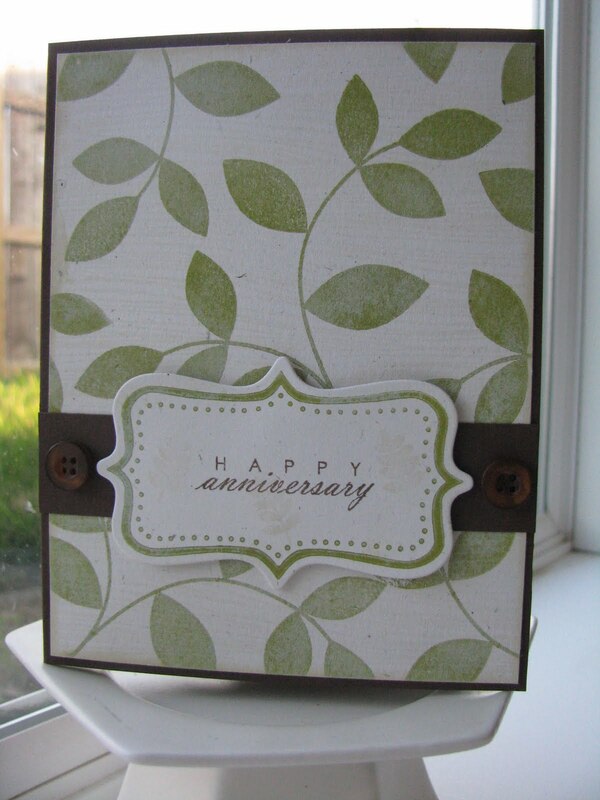 Well, the day of the PTI Blog Hop was our 14th anniversary! 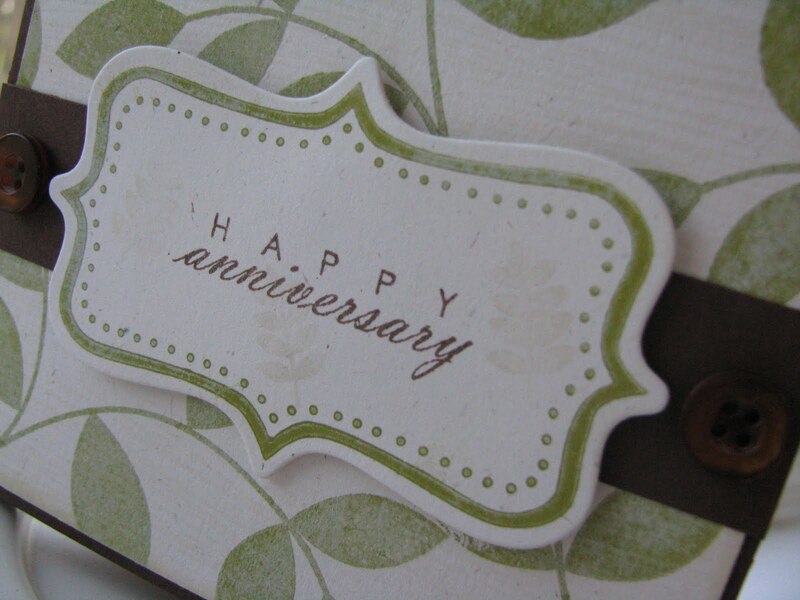 We are planning a trip just the two of us to Cabo, San Lucas in July so our day of celebration will be coming! Anyway, here is the card I made for my husband! stamps over the leaves.....this second picture shows it a little better. My new tea dye duo is now on order!! Lastly, I think that this FF stamp set is my FAVORITE to date!! 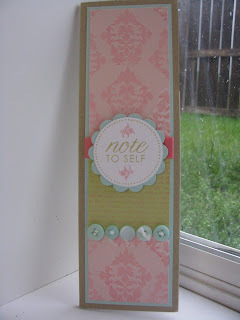 Here we are for another "Dolls" challenge over at the Papertrey Paper Dolls blog!! This week was a fun fun color challenge by Michelle!! The colors up for this challenge were Hawaiian Shores, Berry Sorbet, and Dark Chocolate. 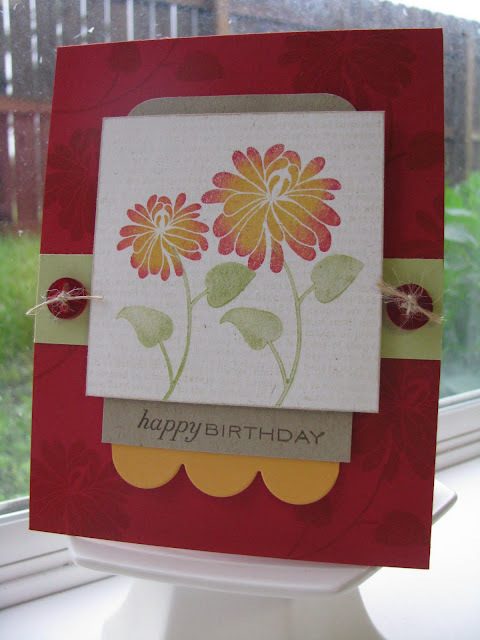 I used the set called Green Thumb for this card. It has a wonderful dandelion image and paired with this other flower......together it makes for a cute little garden! 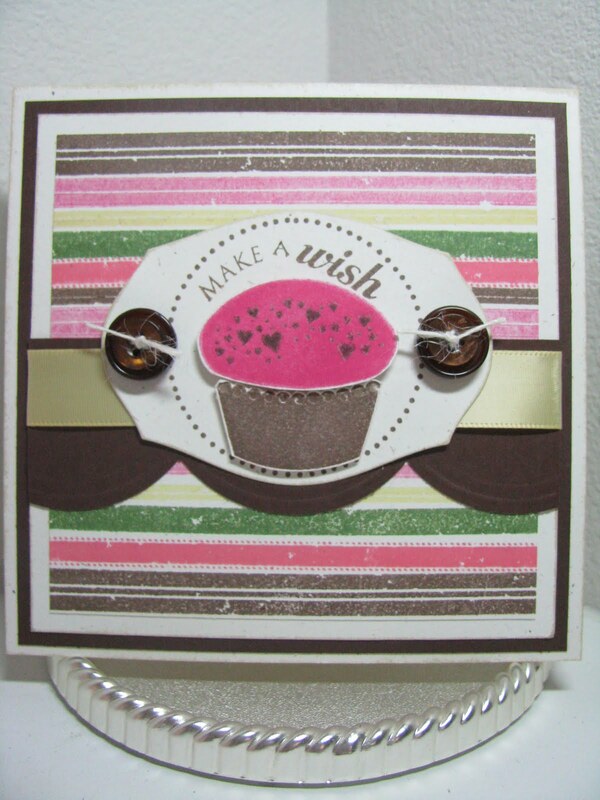 I used a new MS punch (if you know me, I LOVE punches!! 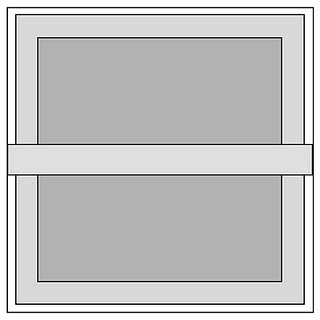 )......this one is called Modern Garland. 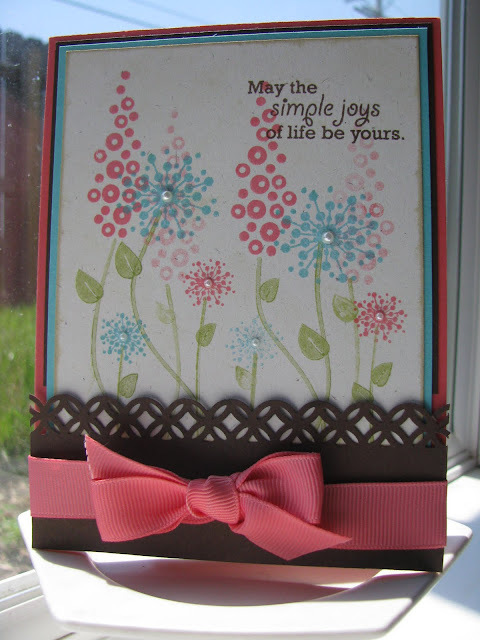 I really like how this turned out.....kinda looks like the flowers are behind a "fence". Have you given the "Doll's" challenge a try yet? We have a different challenge every week.....Come check it out here!! 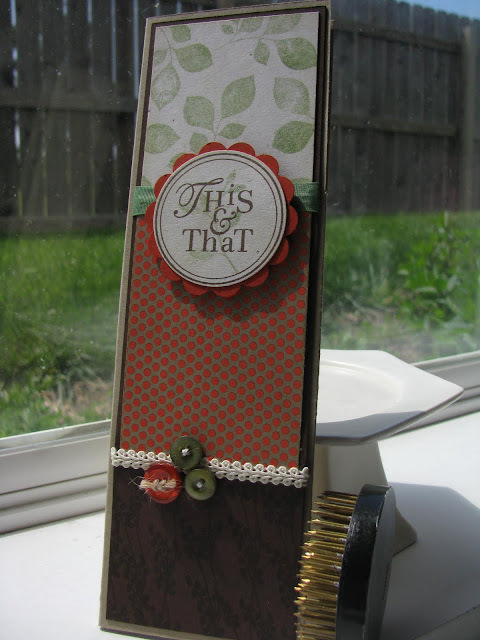 Papertrey May Blog Hop Challenge!!! 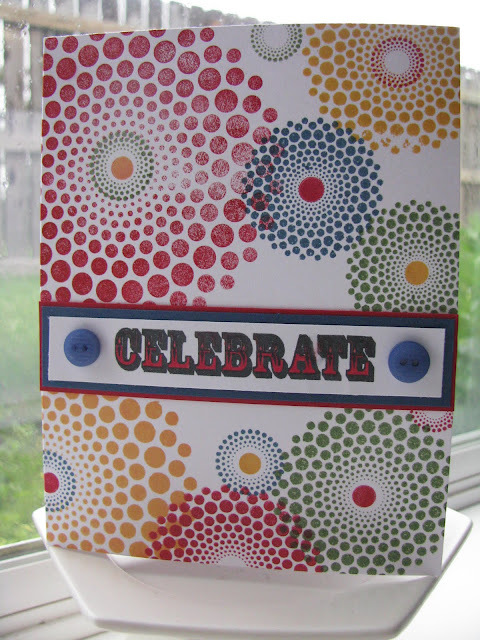 Well, I decided to pair some felt with my new Up, Up, and Away stamp set!! 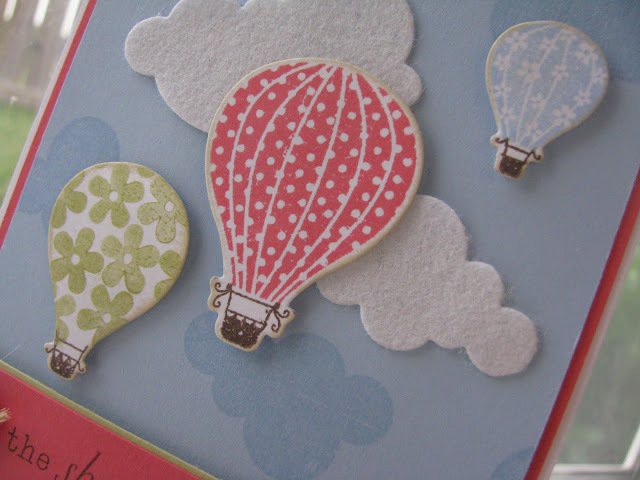 Who doesn't love fluffy white clouds to look at with hot air balloons? Here in Topeka KS, we have an annual hot air balloon festival called Huff 'n Puff and it's always so much fun to see these things up close!! We've even done a tethered ride....pretty neato!! 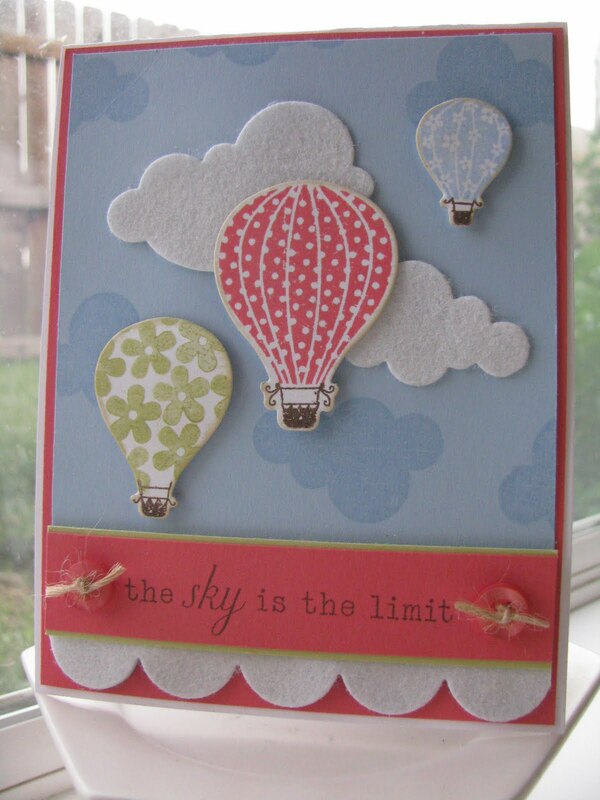 Lot's of dimension here paired with the felt........I just love how the balloons seem to be in front of the clouds!! This felt is actually from HL and comes in a stiff "sheet" as I only have Hawaiian Shores felt thus far! Although, I have more on my wish list!! I even used a bonus image from this set to hand stamp my own hot air balloon!!! 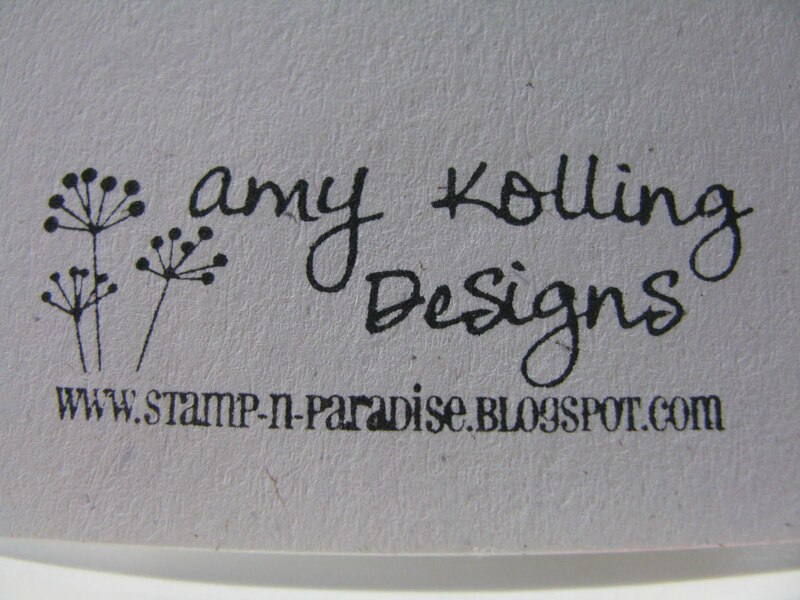 This was stamped in Spring Moss ink. Pretty fun how you can make your own pattern!! Possibilities are endless!! This last image of my card shows using the medium scallop die to die cut a border of felt!! Again, kinda looks like clouds there too!! My last little project using felt actually uses some of my coveted Hawaiian Shores felt paired with more HL felt in PTI matching colors! 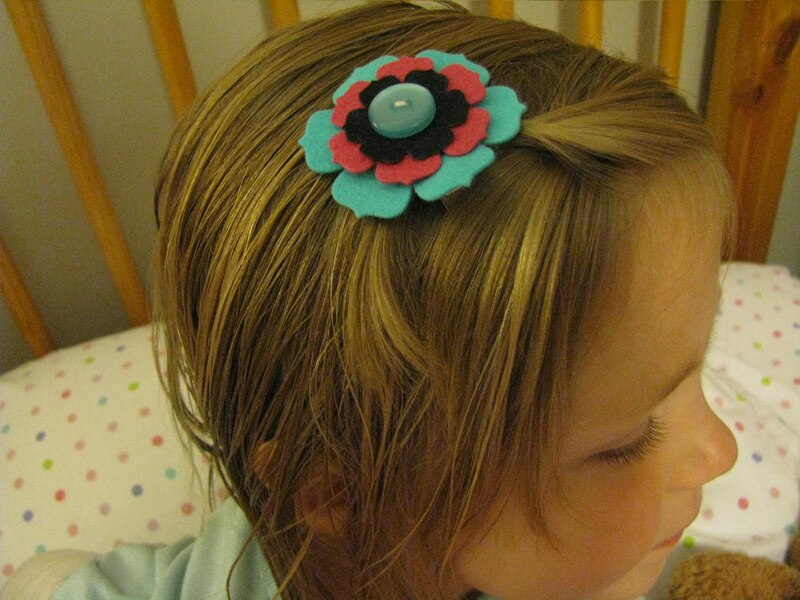 My model is my sweet daughter.....I made this cute cute hair clip using several of the Beautiful Blooms flower dies. Hand sew a button on and hot glue a clip and whalaaa!!! 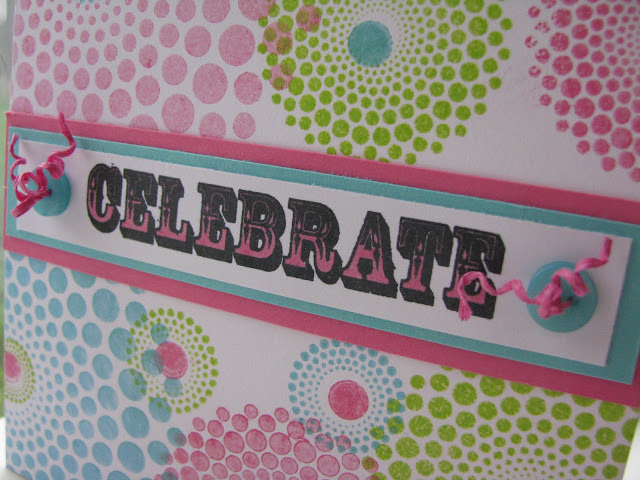 Hope you have a fun time blog hopping!! Thanks so much for visiting and leaving such nice comments!! I thought this sketch challenge was a fun one so I thought I'd give it a try although I didn't follow it exactly! Let me know what you think!! I had this stamp set out making my son's teacher "end of year" gift and just had to ink it up again! 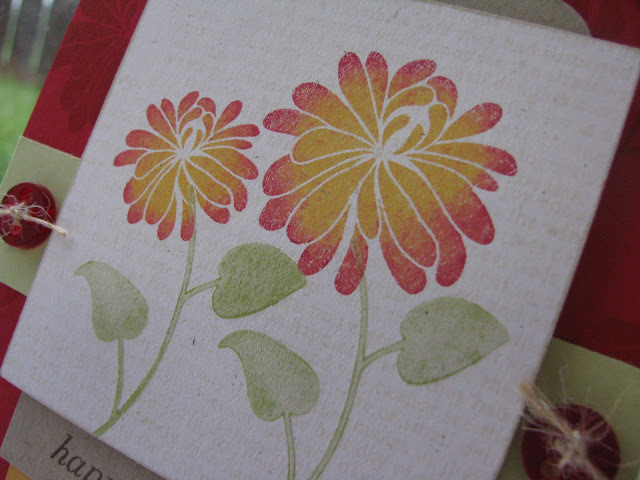 My friend, Jen Carter, and I recently were on the "hunt" for the CHA exclusive stamp set from last summer. Well thanks to Jen, I am now the proud owner of this set.....Floral Fusion!! I know this will be one of those sets that I go to again and again!! Thanks Jen! 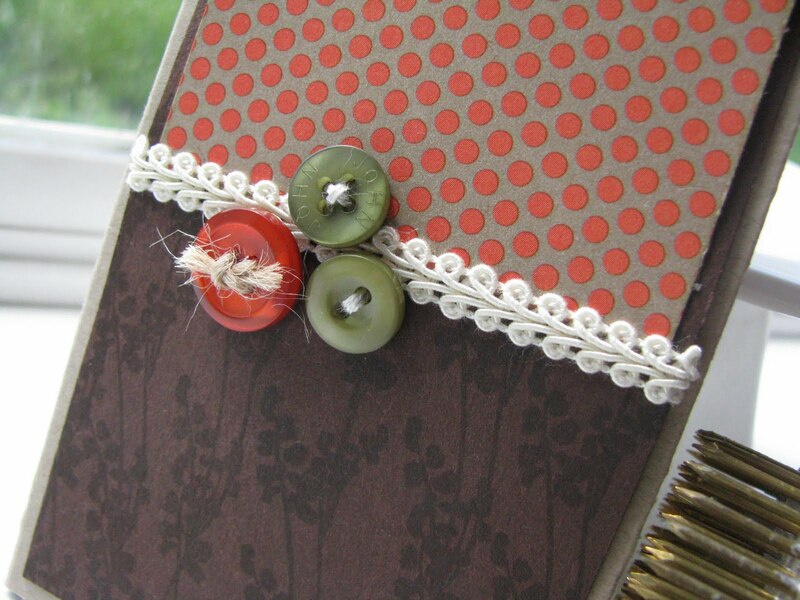 I am LOVING this color combination.......Pure Poppy, Summer Sunrise, Kraft, and Spring Moss!!! I recently received my new scallop die from PTI (my first one was defective) and I find myself grabbing for it over and over!! 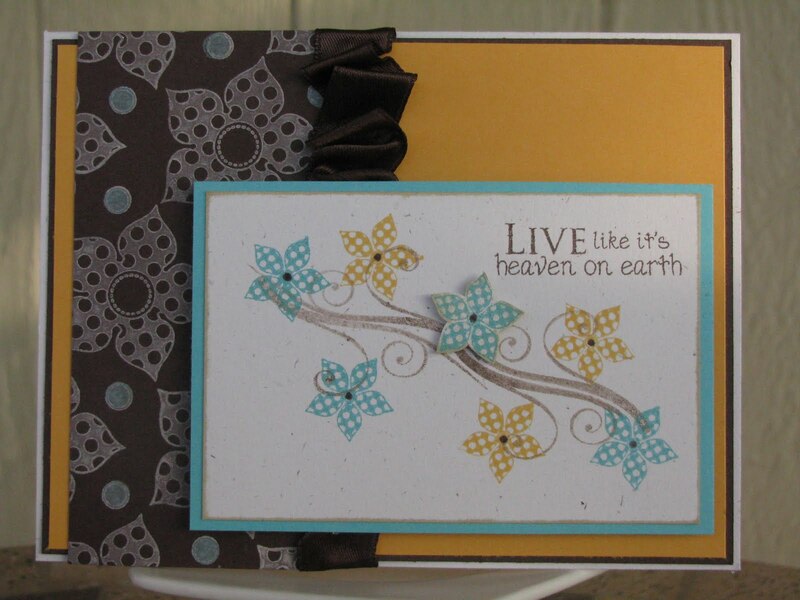 This card uses the "rock 'n roll" technique.....which for this flower image works great! 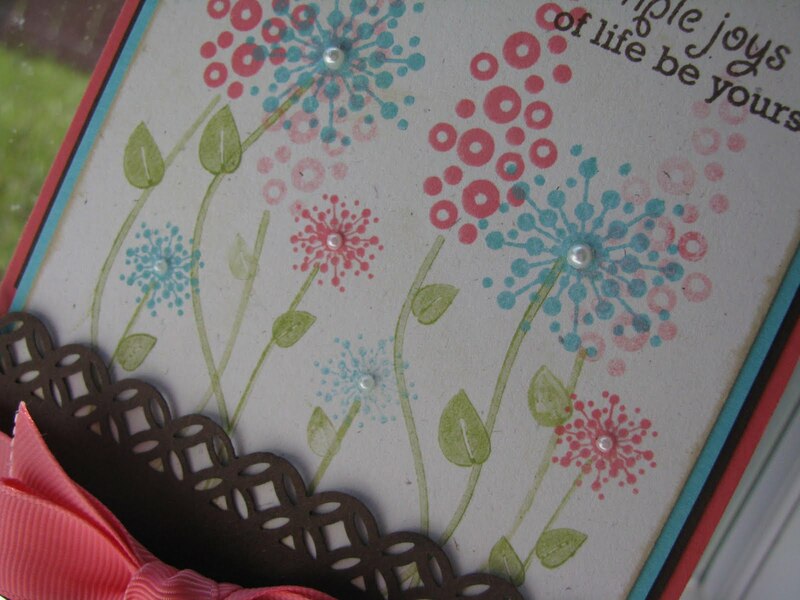 I with held adding any "bling" to the center of the flowers as I wanted the flower colors to shine!! 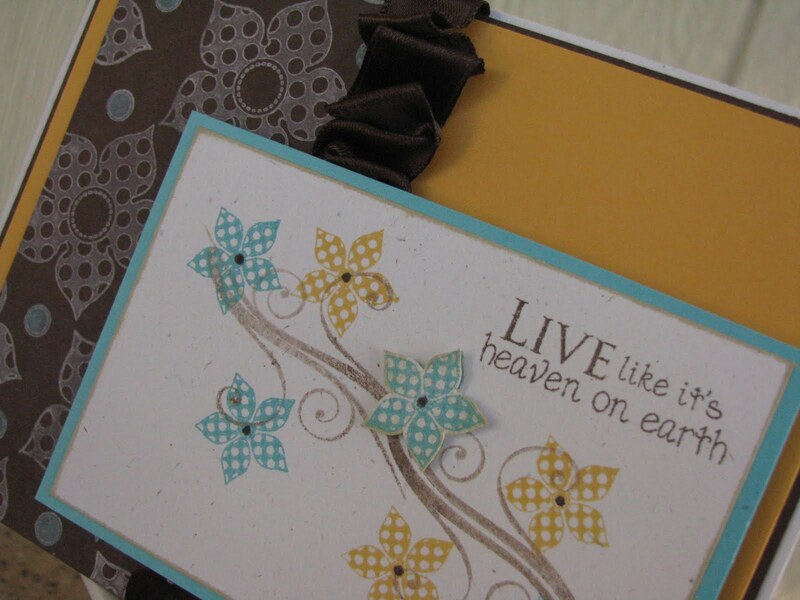 Can you tell that I over stamped Background Basics: Text Style there in tea dye inks? My tea dye duo is dying...literally!!! I will have to place another in my cart the next time I order!! Thanks for visiting my blog and leaving such nice comments!! 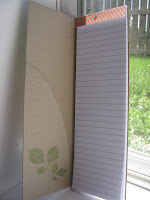 It all started with a post about a notebook! so how about this: I make one for YOU, and you make one for ME! 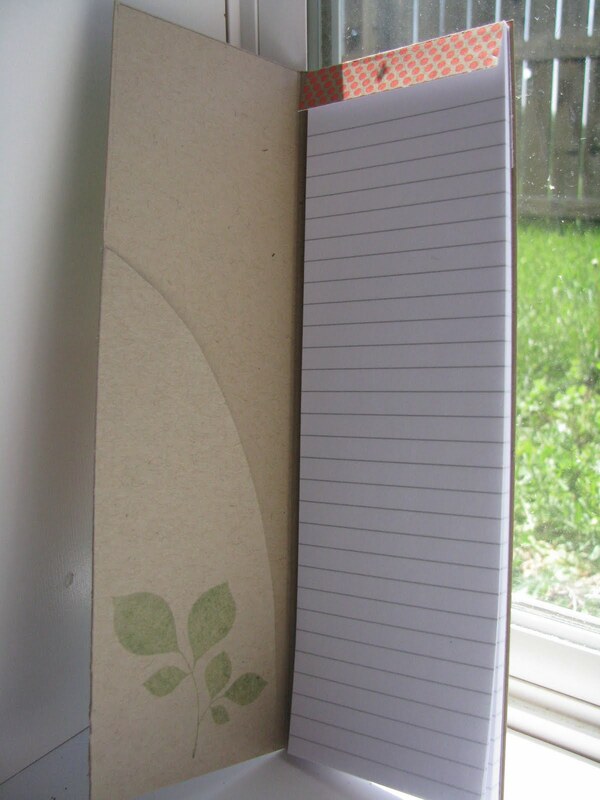 So, this is how it started......we emailed our favorite colors and decided to do a notebook swap!! 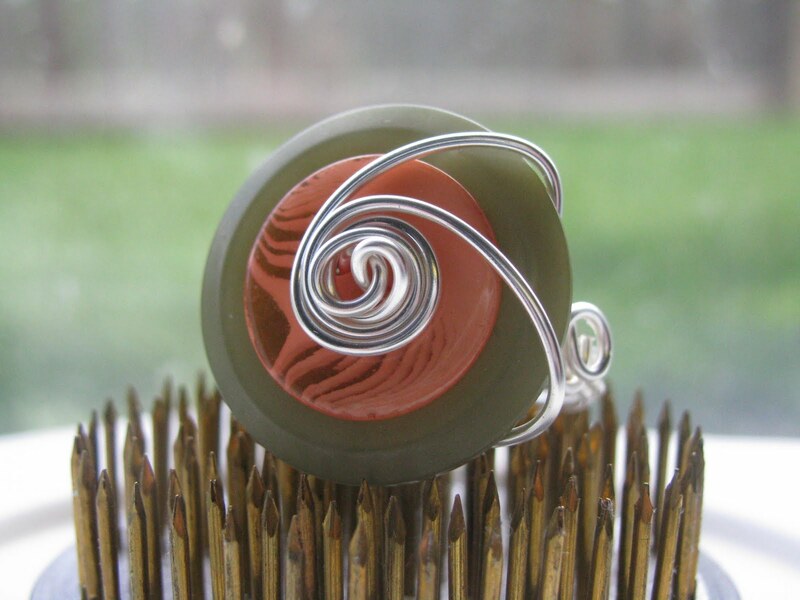 During this time, I also found out that she liked button rings so I designed one just for her! Well, it did take me a while to get this done and then the USPS took forever to get it there....so much so that I thought I either had put the wrong addy on it or it had gotten lost! Finally, here are the pictures.......beware this is a long post with lots of pics!! This notebook uses several PTI stamp sets including Take Note which is a MUST HAVE set when making one of these notebooks! Also used here was Life and Turning a New Leaf. 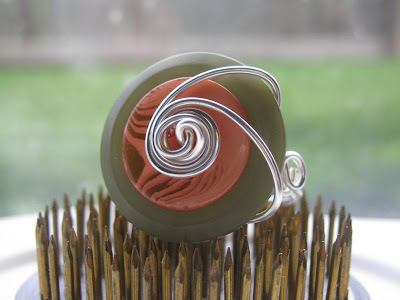 Ok, so earlier I mentioned that I found out that Dana liked button rings! Well, I have finally decided to go into making them!! So, I designed one for her in her favorite colors as well! This was the first time I've made one for someone that wasn't able to "try it on" before hand. Dana says it fits just fine! 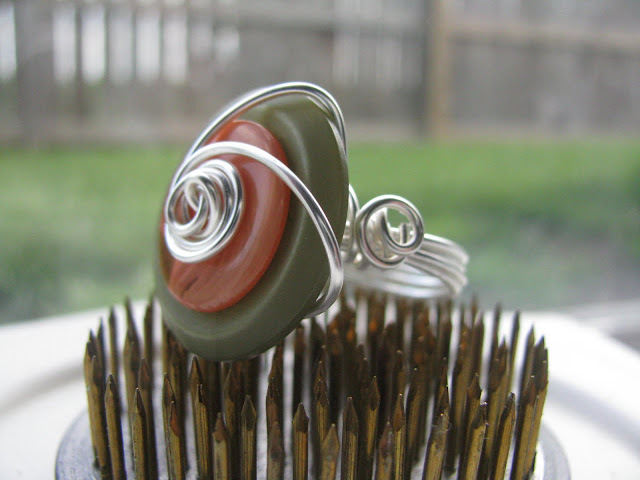 Here is the ring at side view of the wraps. Ok, so I had to make a card to go with all this right? Yeah, I had to! 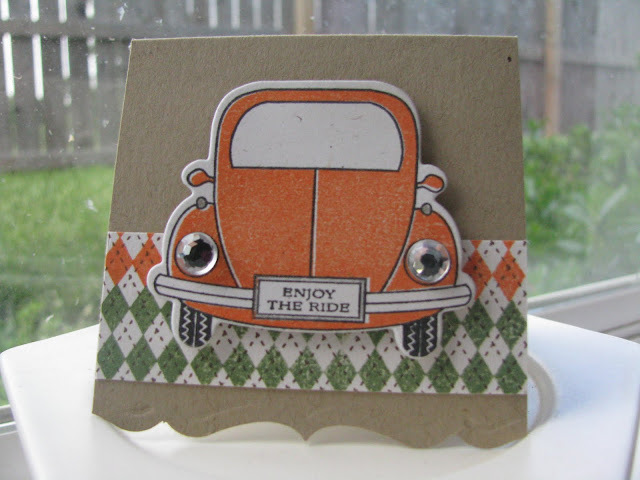 I used the new Enjoy the Ride stamp set and matching die to make her this cute mini card. Well, you didn't think I would show you what I made and not show you what Dana sent to me did you?? Here's the GORGEOUS notebook she sent me.......so totally me in every way! I want to give out a HUGE thank you to my blog friend, Dana!! 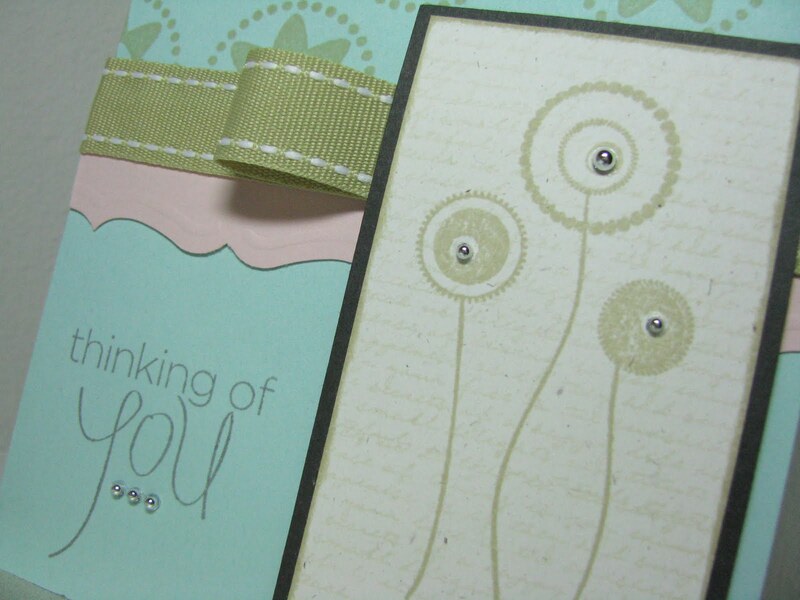 Thanks so much for posting that comment.....I had a great time designing these things for you! 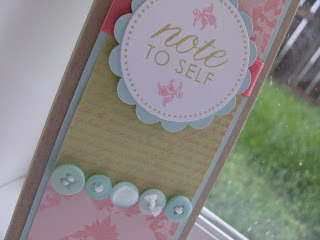 Go check out her blog....she makes amazing things! Papertrey Paper Dolls Challenge #4--it's a bright one! good friend, Jen Carter!! This week's challenge was to create a masculine card and then turn around and make a feminine card using the same layout and same stamps! Wow, this WAS a challenge! 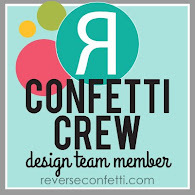 I absolutely LOVE this group because it really makes you think outside the box and get you outside your comfort zone! You may need sunglasses for my cards today!! Here is the masculine card I made without LAYERS!! I also challenged myself to make a card like this because I tend to keep adding and adding!! Please don't look too close to the sentiment as my Copics got a little out of the line and I tried to "fix" it but it was too late last night to redo this so it is what it is!! 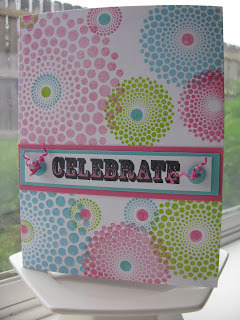 Here is my feminine card using the same layout and stamps.....this one you may REALLY need sunglasses! 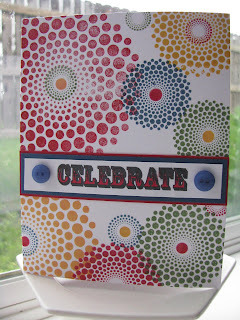 I had fun with this color combination.....both of these color combos came from a Pier One flyer I got in the mail! This just goes to show you never know where you will get inspiration from! In honor of the new Simply Chartreuse color coming out from PTI any day now to my doorstep....I decided to get out my Chartreuse Palette ink pad. 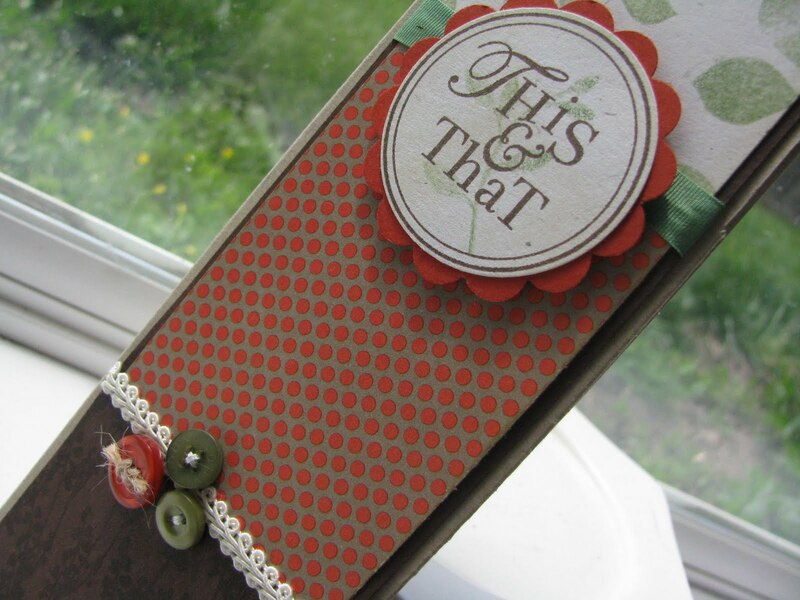 Here is a close up of the sentiment strip and those buttons that I just had to add **something** to them!! Here they are side-by-side for a comparison!! What do you think? Why don't you come play along with us! 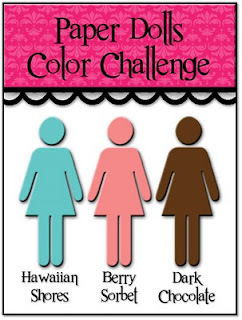 We'd love to see your take on this challenge!! 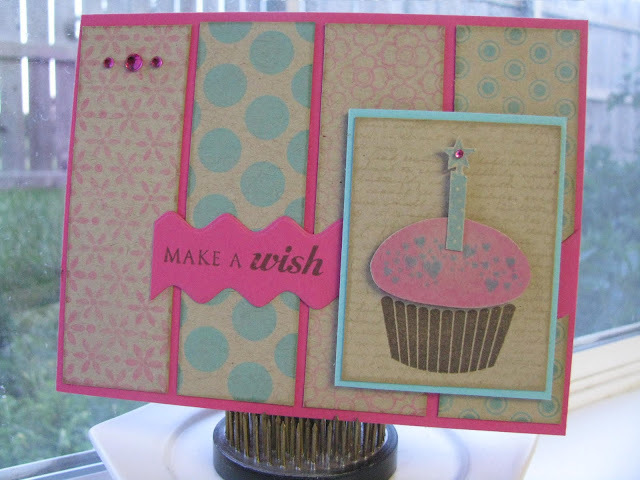 Well, here's another Papertrey Paper Dolls challenge card.....this one done just under the wire! 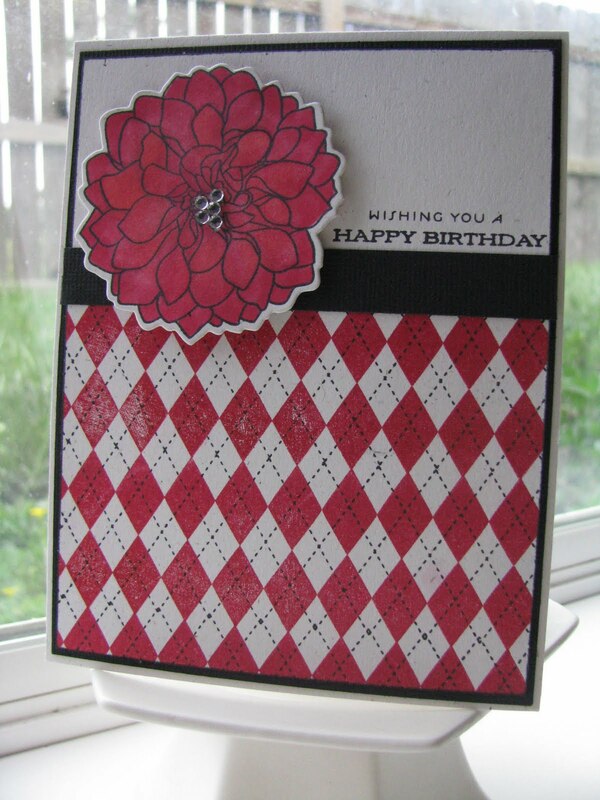 Suzanne at the Card Yard! Sorry this is not the greatest picture (taken inside).....we've been having LOTS of bad weather around us here today in Kansas so I could not get something made earlier but now that I am forced to be in the basement, I can stamp! The colors for this card actually came from a shirt of my daughters! 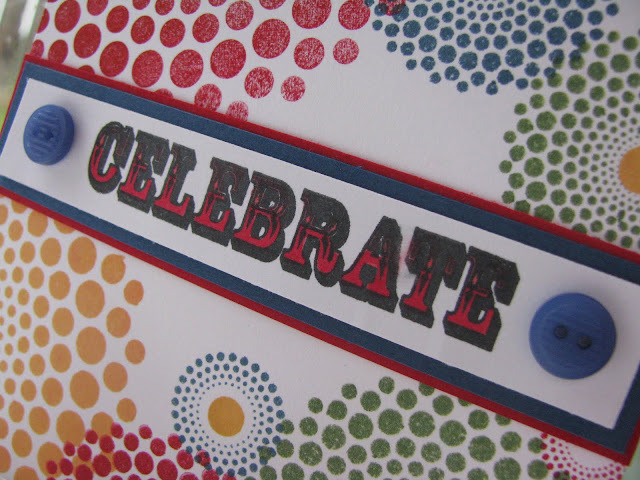 I must give thanks to Gymboree for this colorful card! I've used Dark Chocolate, Berry Sorbet, New Leaf, Lemon Tart, and Hibiscus Burst. Here's the sketch from this week's Paper Doll's challenge. Why don't you come play with us some week? We have new challenges every Thursday!! Thanks Suzanne for a great sketch!! 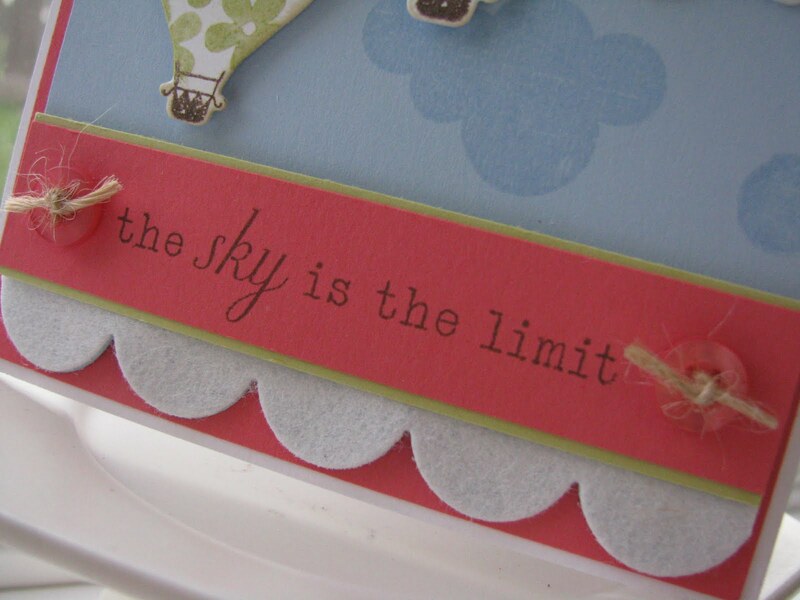 There She Goes**Mother of All Blog Hops!! Welcome to the There She Goes Mother of All Blog Hops! If you have arrived here from Jessica's blog, then you are in the right spot. 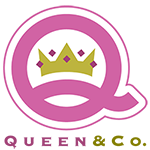 If not, I recommend that you start back on the There She Goes company blog to get the introduction to our hop as well as the information you will need in order to enter to win some exciting prizes! I chose to use Polka Dot Blooms for my hop today.....but I wanted to use it outside of the traditional "flowers with stems". I used the larger stem image to make my own branch! I really like how this turned out!! I stamped it a total of 4 times and then just stamped my flowers on the branch! Easy peasy! Something else fun I did the other day on this card was to use Ashley Cannon Newell's video tutorial on ribbon ruffles!! Now, you can't see the full effect here as I covered half of it up with my image panel but you can see it peeking out!! The last thing is that sentiment!!!! I LOVE the little saying from the set Dance but it was too big for my card so I just inked up the bottom part and stamped on my image panel!! 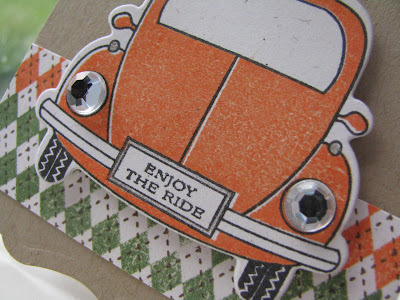 Now it's time to send you on to Pam's blog........Go check out the rest of the hop participants and don't forget to leave comments for the chance for a prize! Have a great Mother's Day weekend!! The other day I visited Michaels and found these cute stamps.....icling by Studio G. I fell in love with some of the images, I just had to buy some!! (Some were dandelions too!) This card uses very subtle colors along with some silver pearls. All of the images on this card were in one package!! I did add a little Text Style over the flower image. 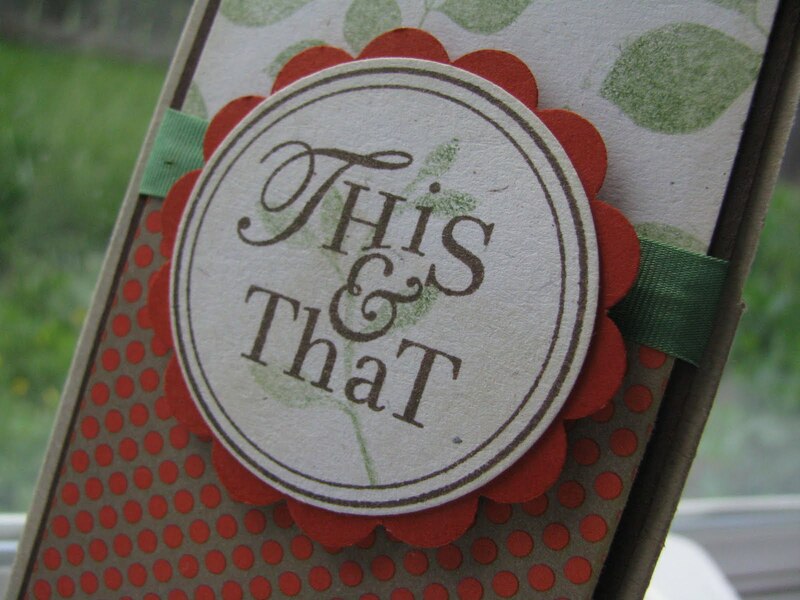 The ink used to stamp the flowers, text background, and dotted circular image was the Tea Dye Duo! What do you think? Have a great day! So, here we have another great sketch for this week's Paper Doll Challenge! 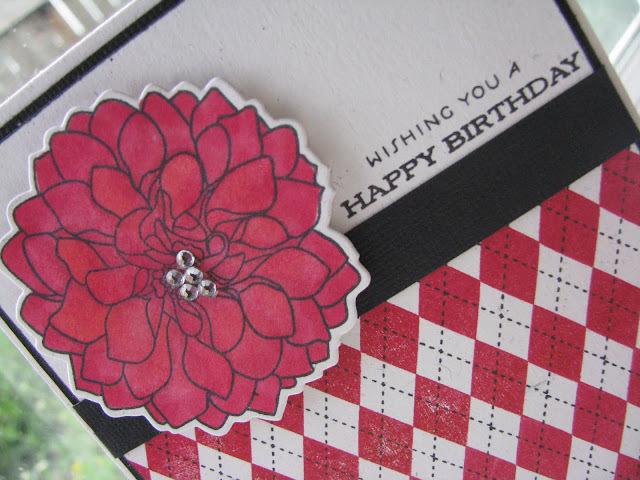 This week it was hosted by Meg and you can find her sketch over at the Paper Doll blog. Why don't you try out this weeks sketch and play along with us? My card uses a lot of kraft cardstock and pink!! 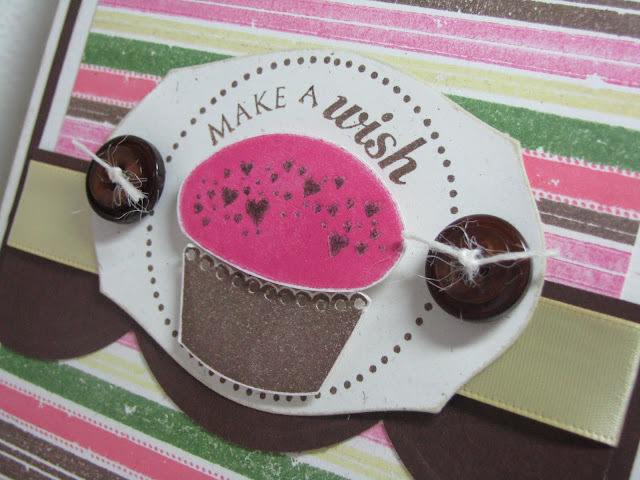 Holy moly, did I use a lot of background stamps on this card?!!! 5 total background sets!! It was fun inking them up to make the panels for this challenge! I also dug out my neglected Cupcake Collection set. 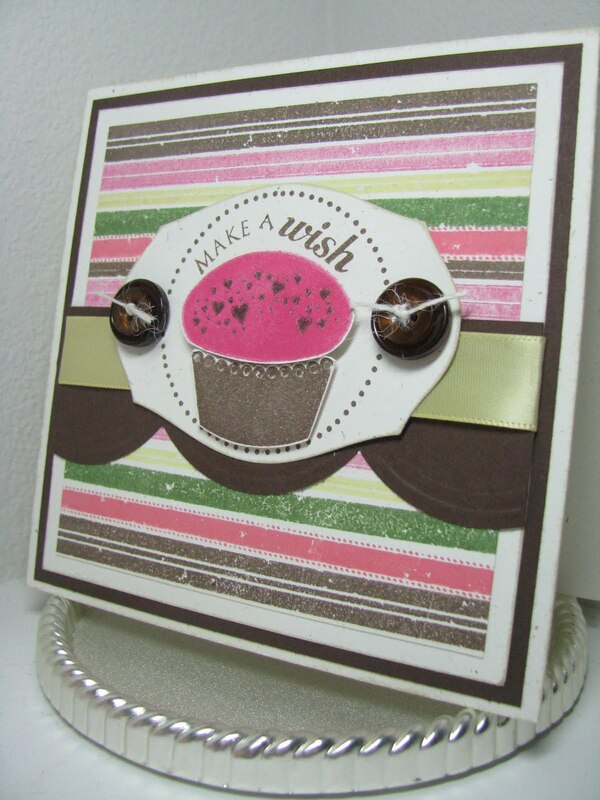 Nothing too fancy about this card........just a lot of stamping! 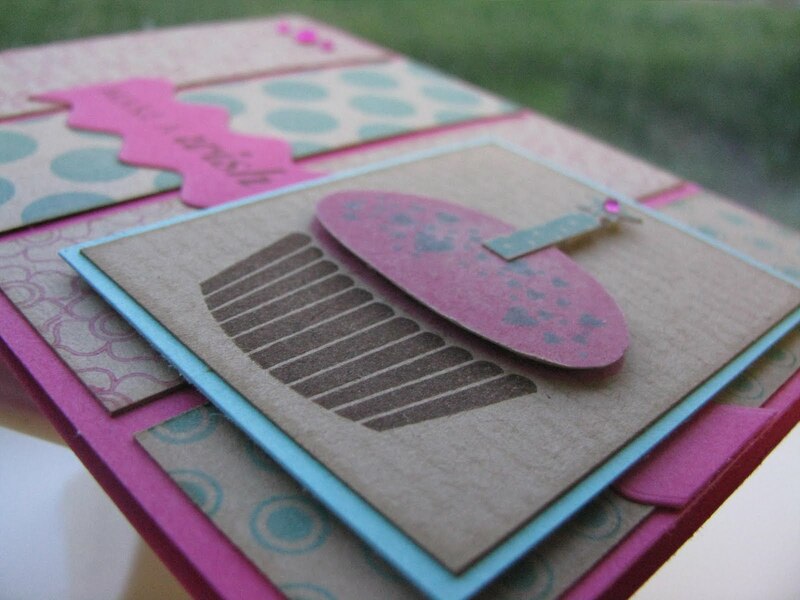 Here is a close-up pic of the layers on that cupcake!! Here is the sketch my card was based off of this week. We welcome ANYONE to come play with our challenges....you just never know what it will be!! 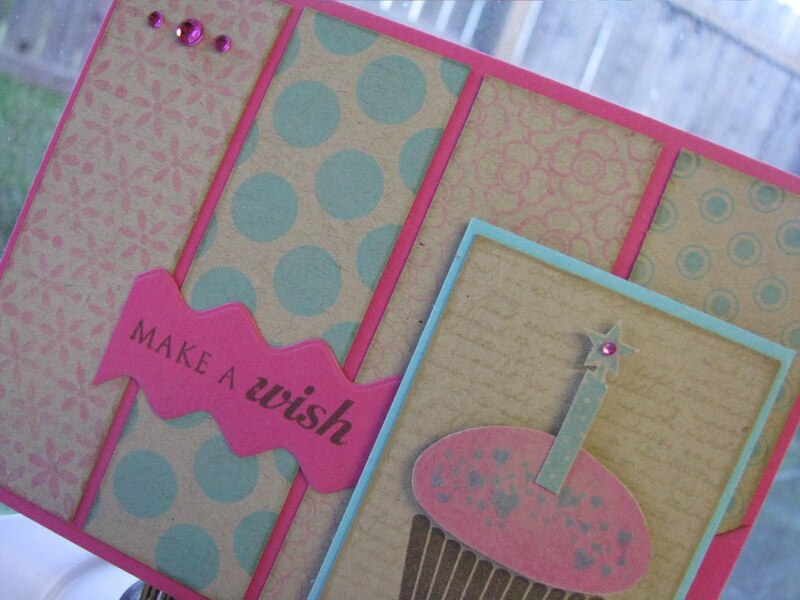 I finally can post this card I made for my friend, Laurie, for her birthday because she has received it! Used my favorite new set, A Little Argyle, for the bottom in her favorite colors. The flower was colored in using the Pure Poppy copic trio and popped up. The sentiment is from last years PTI anniversary set, Everyday Classics. 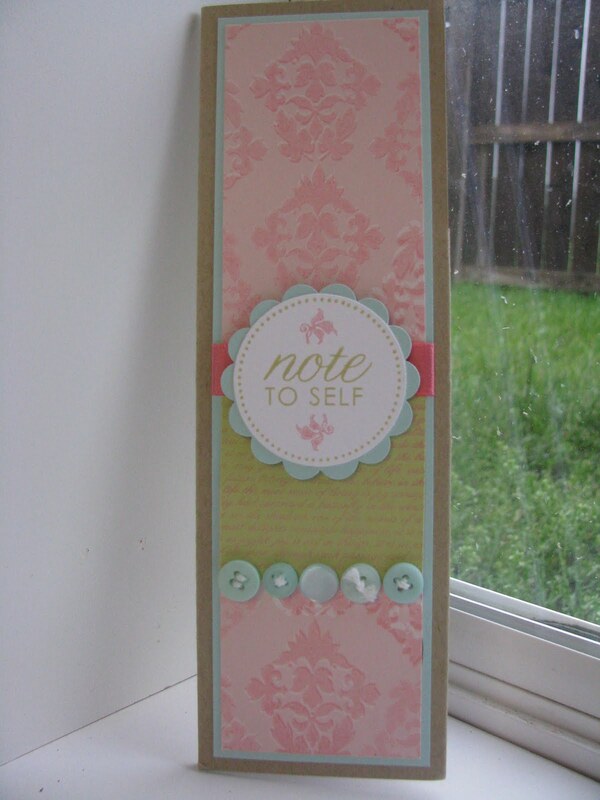 LOVE that set with it's sentiments! Can you believe....no ribbon? 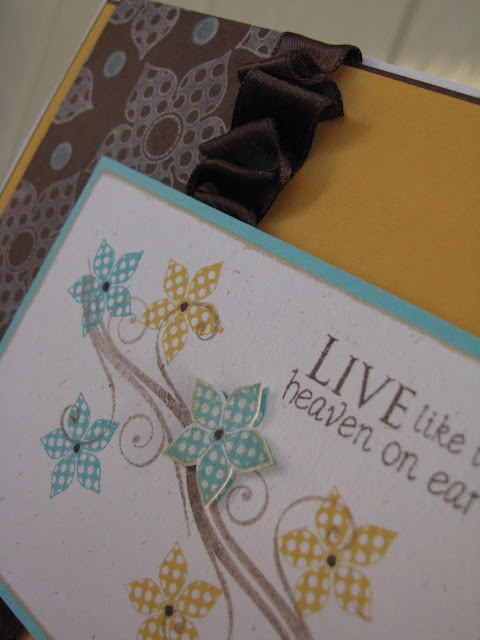 Yep, that black strip is textured cardstock. 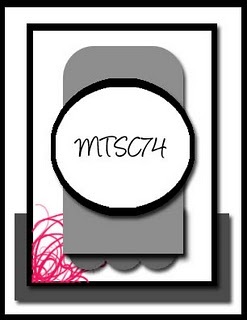 On another note, a while back I sent Laurie an idea for an image for my personalized stamp. 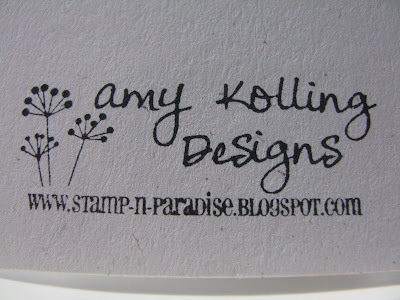 She took my idea and drew her own image and whalaaa.....my own personalized stamp! I love how it turned out!! 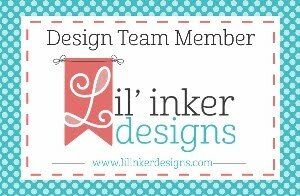 Thanks Laurie for your design work! !